Summer and peaches go together like peanut butter and jelly! And it’s peach season! 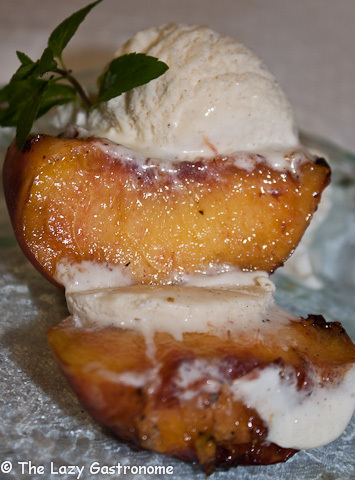 There are so many of these delectable beauties around, I decided I’d post a couple of peach recipes this week. Here is the first! And here’s how you do it…. 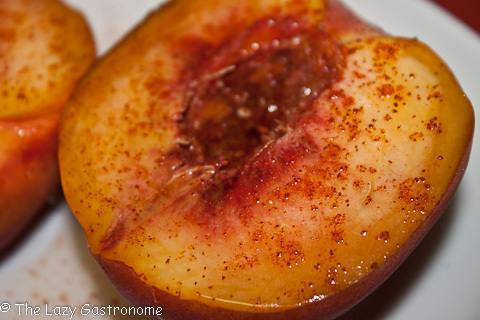 Cut the peaches in half and gently remove the pit. 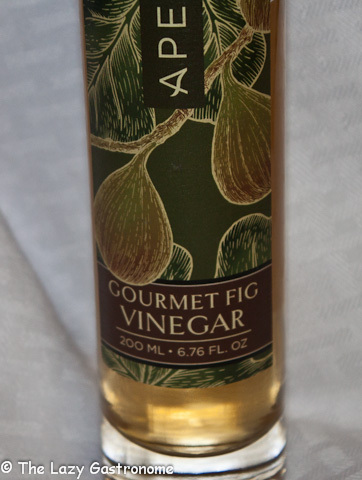 Sprinkle the vinegar over the tops – just enough to dampen but not drench. Sprinkle lightly with cayenne pepper. 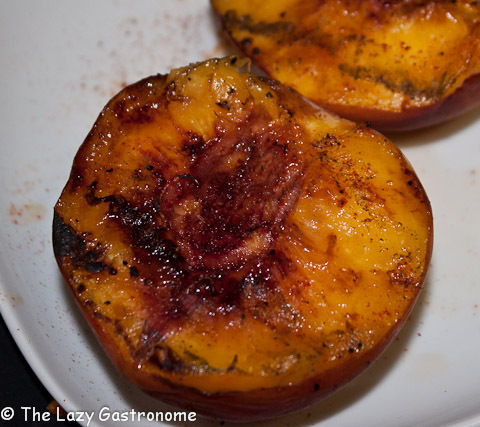 Place the peaches on a hot grill, cut side down. Grill for about 2-3 minutes – until slightly softened and there are grill marks. Remove from heat and allow to cool for at least 10 minutes. Top with ¾ cup vanilla ice cream and a mint sprig. 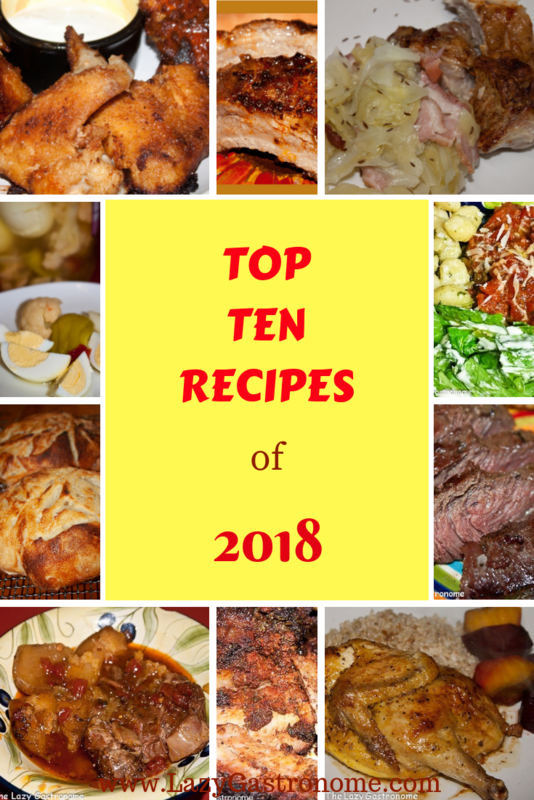 This entry was posted in Fruits and Vegetables, Peaches, Sweet Treats and tagged dessert, grill, ice cream, peaches, summer. Bookmark the permalink. Wow, this looks so tempting! Thanks so much for sharing at What Are You Doing? Blog Hop! Cayenne? That sounds very interesting. 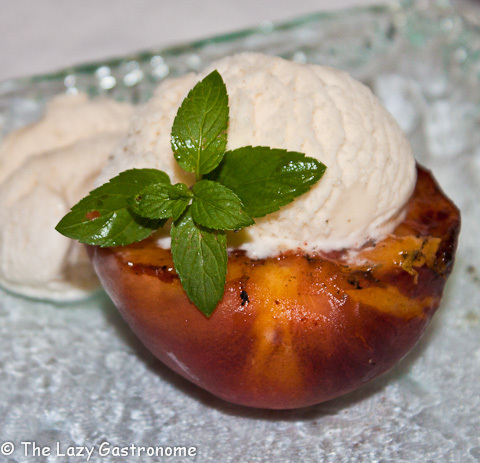 I love grilled peaches. If you use homemade whipped cream instead of ice cream, you get a great flavor as well. Thanks for sharing your recipe at the #AnythingGoes Link Party. Just a tiny bit of cayenne adds a subtle burst in your mouth, but not heat. And I love whipped cream! !